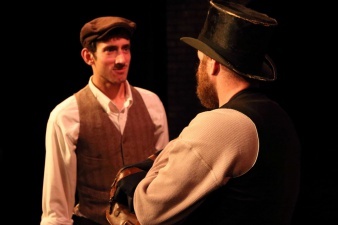 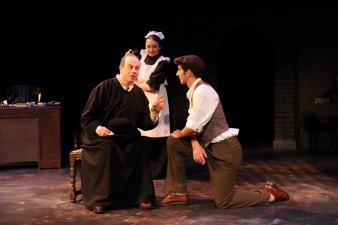 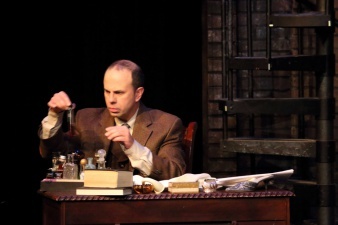 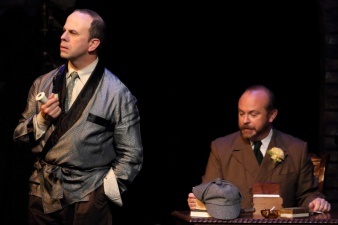 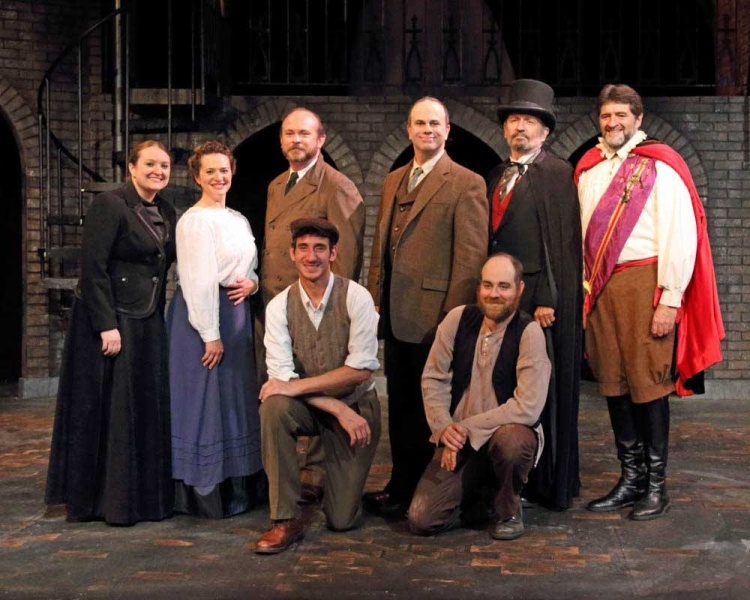 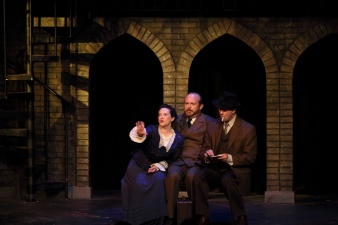 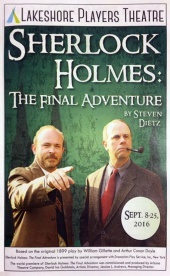 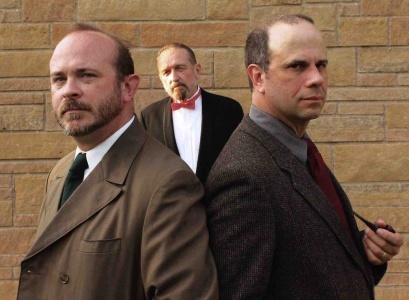 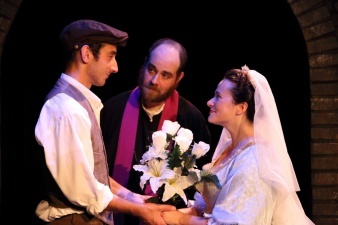 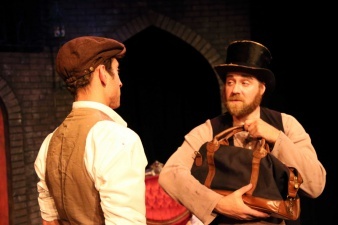 Sherlock Holmes: The Final Adventure is an American play, written by Steven Dietz and directed by Alissa Blaeser, performed at the Lakeshore Players Theatre (White Bear Lake, MN, USA) from 8 to 25 september 2016, starring Jonathan Brandt as Sherlock Holmes and Brian Cern as Dr. Watson. 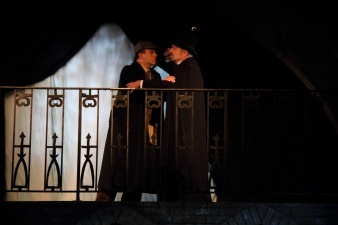 120 minutes (with intermission). 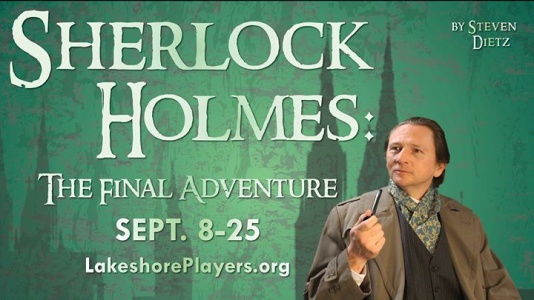 The play is based on the original 1899 play written by William Gillette and Arthur Conan doyle. 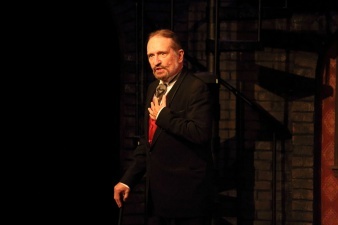 © Photos : Pete Brown. 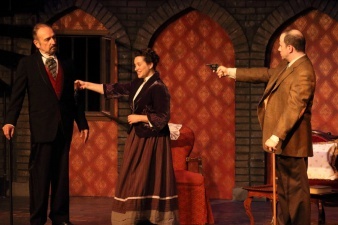 From left to right: Watson, Moriarty and Holmes. 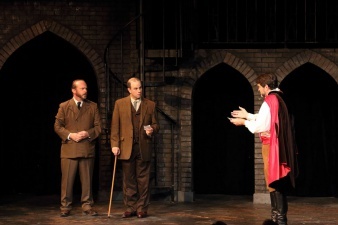 From left to right: Watson, Holmes and Moriarty. 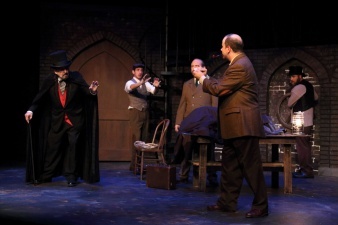 Teaser photo with a different actor for Sherlock Holmes (before auditions). 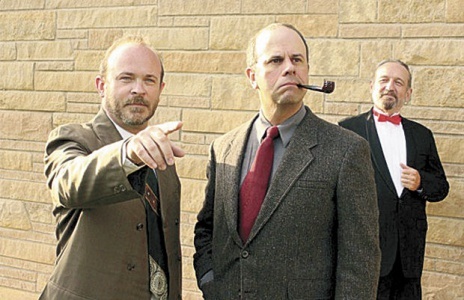 This page was last edited on 14 January 2018, at 20:26.